Panic is counted among the most renowned shoes brand in Pakistan. This brand was established in Pakistan fashion universe in 2005 and for the last 7 years this brand is highly engaged in serving the women and girls with magnificent shoes collection. This brand mainly focuses in serving the customers in the category of shoes and bags. Every year this brand has presented something fresh and exceptionally unique for the women. As Eid festival is about to arrive and many fashion designers and brands has step ahead with their stunning collection so how can we expect that Panic shoes brand well step back. Likewise every year this year as well panic has highlighted its striking Eid collection for women. 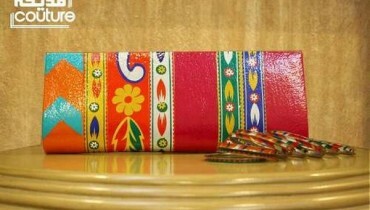 Freshly, Panic launched his exclusive Eid shoes collection 2012 for women. The whole footwear collection has been covered with trendy and comfortable shoes. All the women who want to wear the relaxed and soothe shoes on this Eid they should definitely don’t forget to visit the Panic Eid collection 2012. So all the women out there if you want to dazzle up your feet on this Eid then rush to Panic outlet now and grab all the gorgeous shoes in the collection.